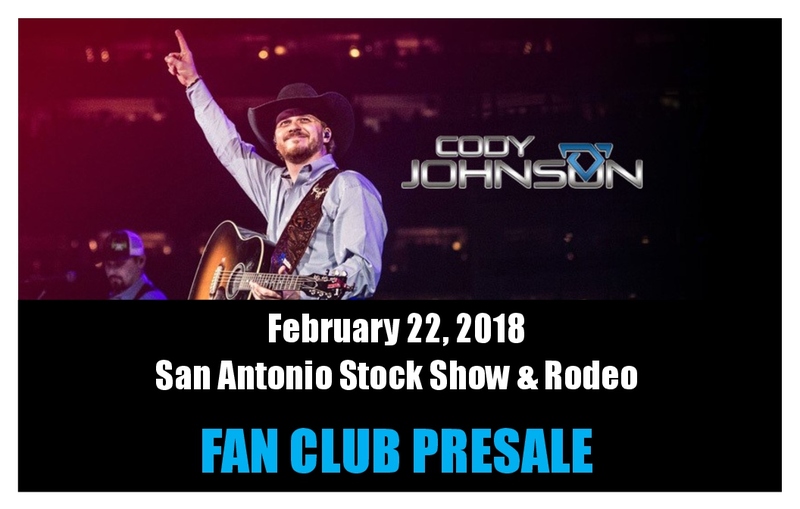 Get Your Presale Tickets for the San Antonio Stock Show & Rodeo! CoJo Nation members get access to tickets for Cody's show at the San Antonio Stock Show & Rodeo on Monday, Nov. 6, 2017, before the public. Get your tickets at Ticketmaster.com. Please enter the OFFER CODE: cojonation.